In June 2010, the Grand Prairie Parks and Recreation Department officially opened its doors to an amazing addition to the city, The Summit. The $23 million dollar, 60,000 sq. 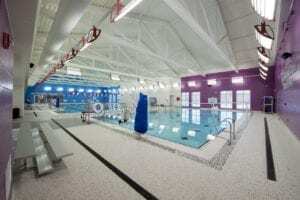 ft. facility located in Central Park is designed specifically for active adults ages 50 and older. It features state-of-the-art fitness areas, indoor infinity edge pool with lap lanes, exercise vortex and hot tub, luxurious dining room and ballrooms overlooking the lakes, theater, game room, gym, aerobic room, and indoor track. The Summit is not a typical city-owned senior center. In fact, The Summit could change the way cities view gathering places for aging baby boomers who want to remain physically fit and socially active. 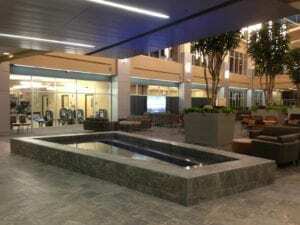 Filled with exciting amenities, the center provides both visual and physical connections to a series of on-site lakes, open lawns, and a pedestrian boardwalk linking to neighboring retail and a public safety facility. 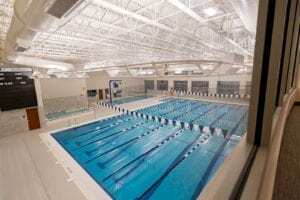 Counsilman-Hunsaker was retained as the lead aquatics consultant for the natatorium components. 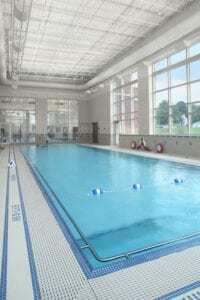 Aquatic amenities include a 3,500 sq. 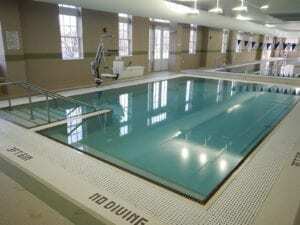 ft. recreation pool used for lap swimming and therapeutic classes. The 250 sq. ft. whirlpool spa offers therapeutic relaxation for tired muscles and social interaction. Another hit with the seniors is the cyclonic vortex which offers an experience like no other. CH provided a Launch Operations Training (LOT) which consisted of a water chemistry workshop in relation to the pool systems. Along with The Summit staff, aquatic staff members from other Grand Prairie aquatic facilities also participated in the workshop.